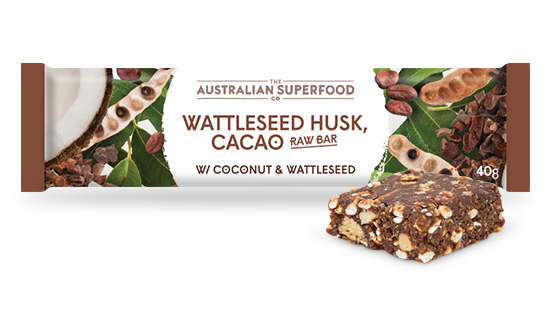 You’ll be in love at first bite with our Wattleseed Husk, Cacao Bar. Wattleseed, with its nutty, chocolaty taste and roasted coffee aroma is teamed with coconut, cacao, almonds and chia. It’s like the healthy chocolate brownie you’ve always dreamed about! If you’re a fan of chocolate (and really, who isn’t? ), this is the Raw Bar for you. Just imagine a sweet treat that not only tastes great but is actually good for you! 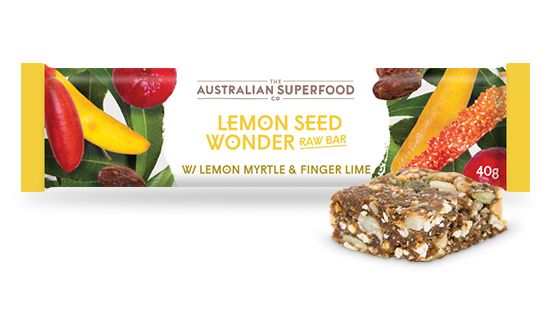 Hero ingredient in this sweet treat is Wattleseed, which has a sweet, nutty and spicy flavour. 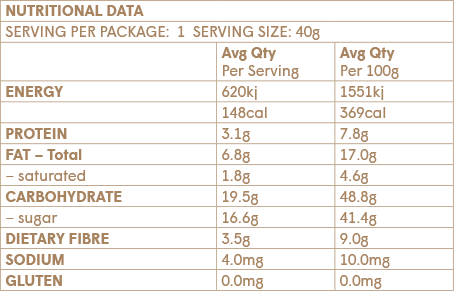 It’s packed with protein and is low GI, which helps maintain blood sugar levels. With undertones of cacao, coconut, chia, almonds and millet, this is the perfect little snack when you’re in serious need of a chocolate fix! 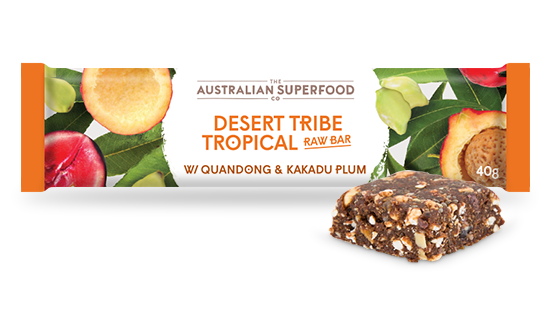 Dates, almonds, cacao powder (4%), cacao nibs (4%), cashews, coconut (4%), native superfood blend (Wattleseed (2%), Finger Lime, Kakadu Plum, Davidson Plum, Quandong), sultanas, puffed millet, chia seeds, natural flavour, corn fibre.